The LAKE POWELL USA VISITORS GUIDE is the best free resource for visitors to the Page Lake Powell, Arizona area. This essential publication features information, maps, and articles of interest on the history and sites surrounding the Lake Powell and Glen Canyon Recreational Area. 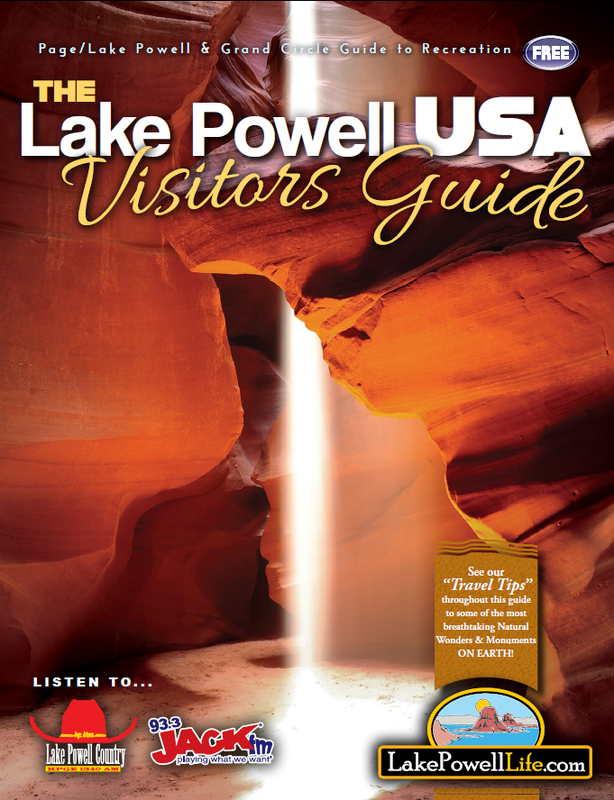 Published by LAKE POWELL COMMUNICATIONS, this annual guide is the seminal publication for learning the history, sites, and points of interest in the Page Lake Powell area. 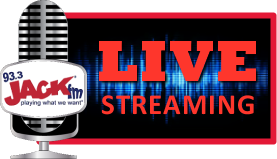 Lake Powell Communications provides the local radio stations 93.3 FM and 1340 AM, in addition to this daily online news publication. Page Lake Powell is the hub of the Grand Circle, which spans from the Grand Canyon, Arizona to Bryce Canyon, Utah. Founded in 1957 as a construction camp for workers on the Glen Canyon Dam, Page is now a major resort and recreation area. With a mild year-round desert climate, Glen Canyon draws adventure-seekers from around the world. Eager to see slot canyons, The Wave, and the surrounding National Parks, More than 3 million people visit this community and Lake Powell annually. Lake Powell house boating, camping, and fishing are popular recreational activities all summer long. Visitors are mesmerized by the colorful sandstone canyon walls and blue waters of the 21 mile long backed up Canyon. More than a fun place to play, Lake Powell is a source of power and water for the desert in southern Arizona, California, and Mexico. Learn about the history, sites, and activities of this unique area in the Lake Powell USA Visitors Guide. View or Download our Visitors Guide in PDF or learn more about popular area attractions here. Tourist to the Page Lake Powell area can find our Lake Powell Visitors Guide throughout the city of page at many business establishments listed in our Page Business Directory.